Those are the words of undefeated Brooklyn, New York heavyweight Jarrell “Big Baby” Miller 20-0-1 (18) when asked what he thinks about unified heavyweight champion Anthony Joshua 21-0 (20) of Great Britain. “Hell yeah, I will welcome him to New York. We can make the fight happen,” Miller told Sky Sports this week. “He is definitely taking [American fighters] lightly because he had a good experience with Charles Martin. The idea of Miller getting a shot at Joshua isn’t new. Joshua’s promoter Eddie Hearn indicated he was on the radar last month, particularly if the champion decides to pursue a bout in the United States. 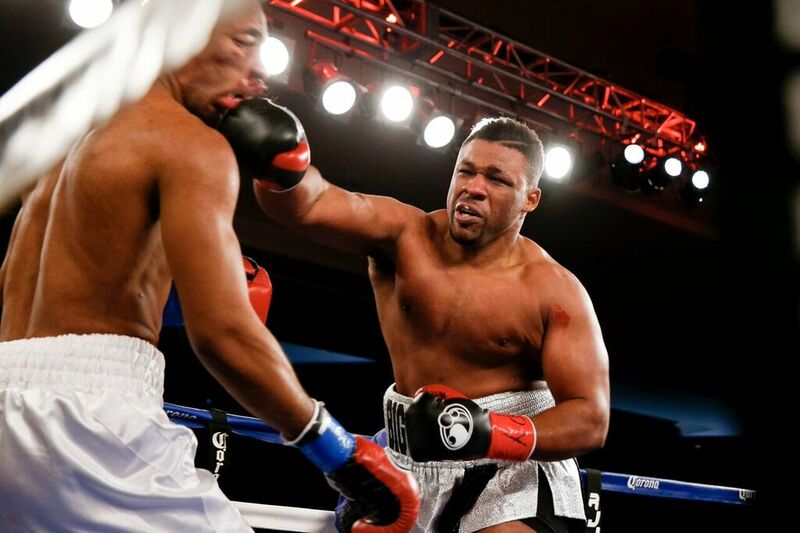 “Jarrell Miller is a real possibility,” Hearn told Sky Sports last month. “He’s a threat. He’s got a great engine, he’s got great work-rate as well and he’s confident that he beats Joshua. Miller in the consensus world number three in the WBA, IBF and WBO – the three sanctioning bodies that Joshua holds the world championship titles in. Last year Miller defeated Gerald Washington (18-1 at the time) and Mariusz Wach (33-2 going in to the fight) with neither bout going the distance. Later this month Miller takes on experienced veteran Johann Duhaupas 37-4 (24) of France in a twelve round WBA heavyweight eliminator at Barclays Center in Brooklyn, New York. Duhaupas is ranked WBA number seven, WBC number seven and IBF number thirteen. The fight will be on the same card as WBA number two middleweight Daniel Jacobs’ fight against WBA number five Maciej Sulecki in a WBA final eliminator.